jQuery and Ajax best 9lessons. A list of jQuery and Ajax demos from 9lessons blog. I hope it's useful for you, if any queries just post a comment. Twitter Like More Button with jQuery and Ajax. Submit a Form without Refreshing page with jQuery and Ajax. Delete a Record with animation fade-out effect using jQuery and Ajax. Ajax Add a Record with Button Status Change using jQuery. Twitter Like Flash Message with jQuery. Insert and Load Record using jQuery and Ajax. 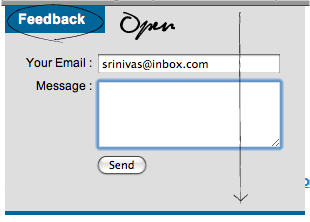 SMTP Feedback Mail class with jQuery Slide Effect. very good!..nice find!!! thanks bro! Thank you for this kind of material post. It's really helpful for users like me.